FAIRFAX, Va.—Newly crowned Mrs. 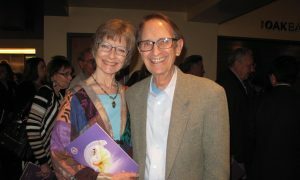 Global America, Rhonda Howdyshell considered with her husband the snow and ice that stood between them and the theater where Shen Yun Performing Arts would be, and made up her mind to go. Howdyshell was very happy that she made it. Howdyshell won the Global America Pageant just two weeks ago, and has a background in philanthropy, business, and charitable organization. “I’m thrilled to be here in Fairfax, Virginia, to see this beautiful show,” she said. 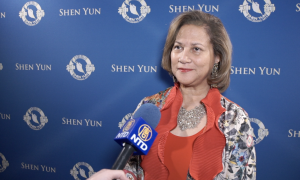 Fairfax is one of over 130 cities around the world that Shen Yun will perform at this season. 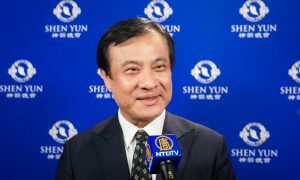 Based in New York, Shen Yun Performing Arts was formed in 2006 by a group of artists determined to revive traditional Chinese culture. 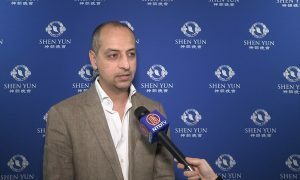 Every year, Shen Yun travels the world with a new production to share the once-lost traditional culture and history with audiences everywhere. One of the pieces that stood out for Howdyshell was one which is set in modern times. Based on true events, “Goodness in the Face of Evil” follows a young girl who is imprisoned in China for having spiritual faith. 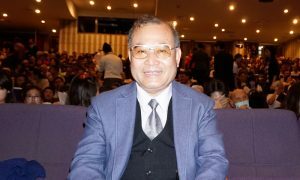 Today, in communist China, there is no open spirituality allowed that isn’t infiltrated, altered, and tightly controlled by the Chinese Communist Party (CCP). Tibetans, Uighurs, many Christians, and up to 100 million Falun Dafa practitioners face persecution by the CCP on a daily basis. Howdyshell was moved by the story, and took away from it a message of faith. 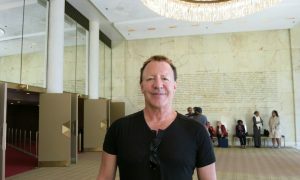 Howdyshell said the visual depiction of spiritual realms in Shen Yun was beautiful. Celestial realms, as well as dynasties and landscapes from China’s 5,000-year history are presented on Shen Yun’s animated backdrop which dancers seem to magically move in and out of. 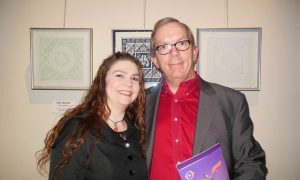 With all of the color, story, and history of Shen Yun, it was the spiritual level that resonated with Howdyshell the most. “The heart of it that comes through, and the divine purpose that they have,” she said. Howdyshell also enjoyed some of the comedic moments of Shen Yun, such as in “The Queendom” which follows the popular characters of the classic Chinese novel, “Journey to the West”: a Tang dynasty monk and Monkey, Pigsy, and Sandy, his disciples-turned-guards. Howdyshell also enjoyed “The Ties of Affection, the Tao of Destiny” which follows a young artist and his predestined connection with a general’s daughter. 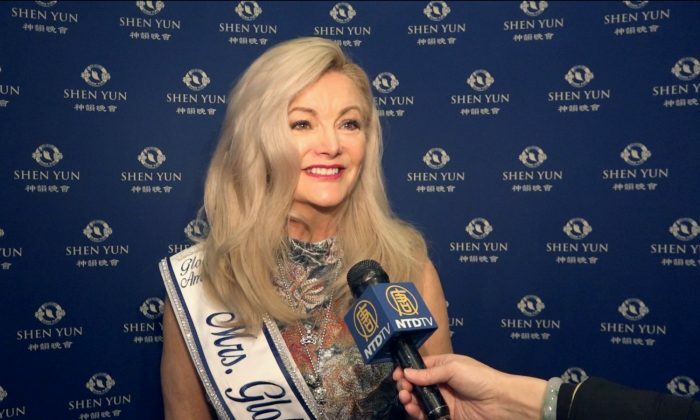 Though she had her favorites, Howdyshell said that the entirety of a Shen Yun Production is interesting to see, and had six words to describe the show to someone who hasn’t seen it before. “Something you don’t want to miss,” she said. With reporting by NTD Television, Lisa Fan, and Carrie Gilkison.